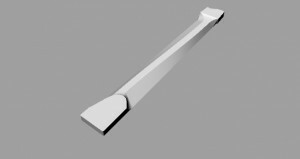 The EndurNeck™ represents a new cross-sectional profile of the neck of a stringed instrument such as a guitar or bass. The design of the neck profile increases the efficiency of the muscles and tendon system of the hands, wrists and arms, thereby reducing your risk to develop repetitive strain injuries and lets you play better and more relaxed for longer. The profile that EndurNeck™ is based on is patent pending. Update 20 January 2015: the EndurNeck™ patent has been approved. The patent is a utility patent (i.e. it is the function of it and not only the design). The patent application covers the fact that the cross section is more or less trapezoidal (think a triangle that has had the top cut off) and that the trapezoid is asymmetric in one direction on one end of the neck and asymmetric in the other direction on the other end of the neck and goes on to describe several variations on that theme. This means that even if you change some aspects of the design, it may still be covered by the patent. Patented inventions may be reproduced for personal use, but not for commercial use. 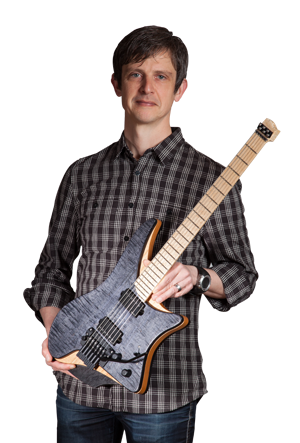 If you have followed the evolution of Strandberg Guitars, you will know that previous inventions have been made available under a Creative Commons Share-and-Share-Alike license, but the EndurNeck™ is not. If you use it for personal purposes, you are asked to pay a license fee in recognition of the work that went into the innovation, for the help that the instructions provide and for the support and assistance that you will be able to get. If you wish to use it for commercial purposes, you are in addition to the above protected from potential future patent infringement issues. By payment of the license fee, you are granted a limited, non-exclusive right to build one instrument featuring the EndurNeck™ profile using the instructions below and associated materials. Furthermore, you will receive e-mail support and assistance (within reason) in how to build your own. If you want to build many instruments, feel free to get in touch to discuss a volume fee. The information kit contains DXF files (readable by most drawing/CAD programs) with 1:1 scale profiles and measurements of example 6-, 7-, and 8-string necks. Note that the measurements are intended to communicate the relationship between the measurements more than the exact measurements themselves. You must adapt them to your own width of neck at the very least. The heel or headstock is not included as these will be your own design. It also contains STL files (3D solids that are readable by most CAD/CAM programs) for a 6-, 7- and 8-string profile. Again, you will have to model your own heel and headstock. When you have purchased the kit, you will receive a label in the mail with a unique serial number, indicating the fact that you have legitimately licensed it. The label should be placed on your neck, prior to applying clear coat/oil finish. The dimensions of the label are 50 x 17 mm. 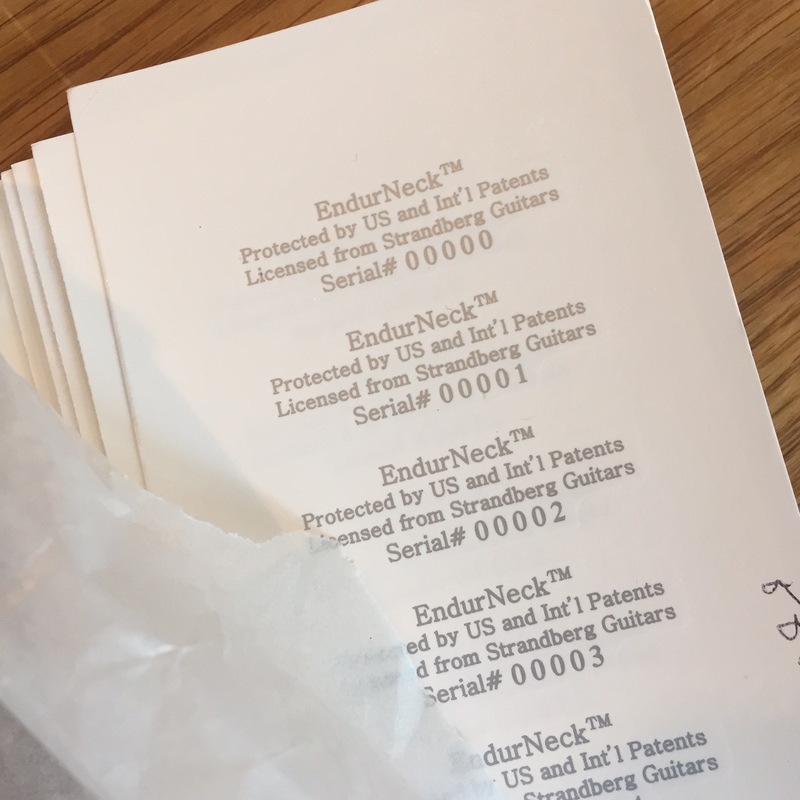 If it is not possible to place the label on the neck itself, for technical reasons, the label may be affixed to a document that accompanies the guitar.